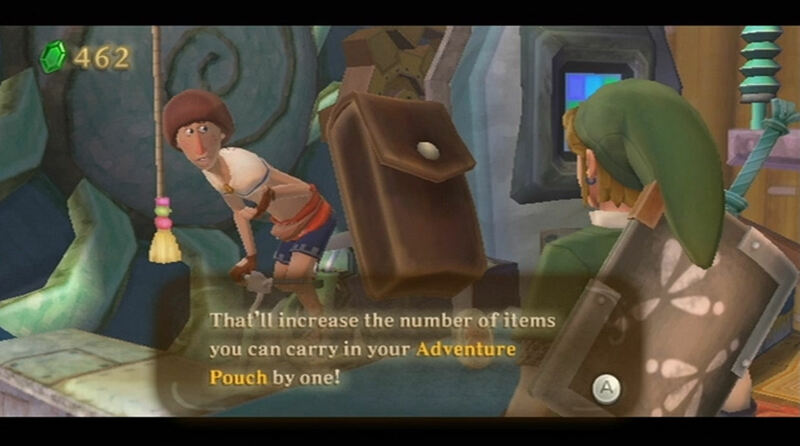 Daily Debate: Do You Like The Limiting Factor of the Adventure Pouch in Skyward Sword? Skyward Sword did something differently than other Zelda games. Before heading out on each portion of your adventure you need to choose which few items you have with you at this point. Extra arrows or space for more bombs? A bottle or a shield? An extra heart or the ability to find them more frequently? Although you were able to expand your pouch, throughout most of the game you still have to hesitate and consider where you are going and what you hope to accomplish while out. What were your thoughts on the small pouch you were given to hold things? Too limiting or a good, unique challenge? Let us know in the comments below.